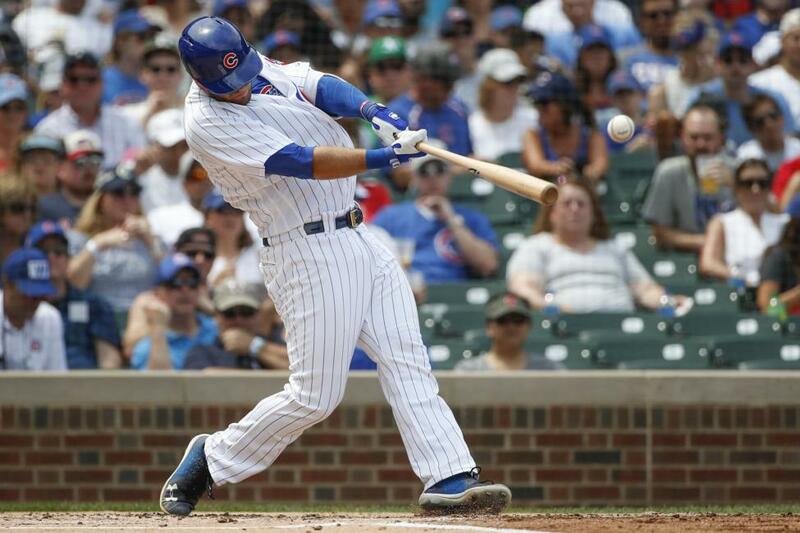 If the Chicago Cubs needed a shot in the arm heading into what could prove to be a pivotal two-game series against the Milwaukee Brewers starting Tuesday at Wrigley Field, David Bote certainly delivered. Bote's walk-off grand slam on Sunday delivered a 4-3 victory over the Washington Nationals that not only provided the first-place Cubs a series victory but extended their lead over the Brewers in what remains a tightly contested race in the National League Central. Now the Cubs will look to create even more breathing room in two games that could really do damage to second-place Milwaukee's division title hopes. Bote's improbable game-winner came with two outs in the ninth inning after the Cubs had been shut down by Max Scherzer. They faced a three-run deficit after the Nationals used two ninth-inning runs to open the three-run lead. [post_ads]But thanks to Bote, another comeback victory gives the Cubs a three-game lead in the Central heading into Tuesday's showdown. And if Bote's late-game heroics proved anything, it was that the Cubs will win with any means necessary to keep marching toward another postseason appearance. "Our guys fight to the end," said pitcher Cole Hamels, who allowed just one run and one hit in his third Cubs start. Jose Quintana (10-8, 4.28 ERA) will try to ride the wave of momentum that came from Sunday's win. Quintana has been vastly improved and had registered four wins in his previous five outings before getting roughed up in his last start against Kansas City. He allowed five runs and six hits in 6 1/3 innings against the Royals on Aug. 8 and will attempt to rediscover the rhythm he had found during the past month. Quintana has been dominant against the Brewers in his career with a 4-1 record and 0.92 ERA in seven starts. While the Cubs hope to keep surging forward, the Brewers could use the two games to remain relevant in the Central. The Brewers have dropped four of their past six and lost two of three over the weekend to the Atlanta Braves. Milwaukee stranded 13 runners in an 8-7 loss on Sunday, which, combined with Chicago's prime-time thriller, put the Brewers in an even bigger hole as they prepare to face the rival Cubs. "I think when you strand 13, you always feel like you left opportunities out there," Brewers manager Craig Counsell said, according to the team's official website. But the Brewers must find a way to move on as they prepare for the first of eight remaining games against the Cubs. Chicago is 8-3 in the season series against Milwaukee this season, and if the Brewers are to remain in the chase, they understand they have to find a way to start gaining ground. "Every game from now on is a big game, especially against the Cubs," Brewers pitcher Jhoulys Chacin told the Milwaukee-Journal Sentinel. "It's the team we're chasing. It's going to be huge." Chacin (11-4, 3.91) will start Tuesday's matinee for the Brewers. Chacin, like Quintana, had a very productive July with four victories, but he has surrendered 11 runs in his two starts this month. Chacin is 3-4 with a 3.30 ERA in eight career appearances (seven starts) against the Cubs.